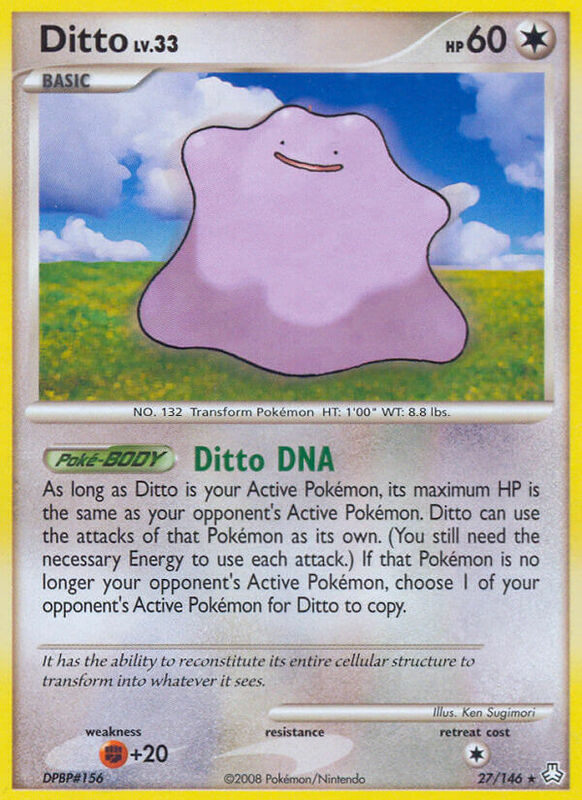 As long as Ditto is your Active Pokémon, its maximum HP is the same as your opponent’s Active Pokémon. 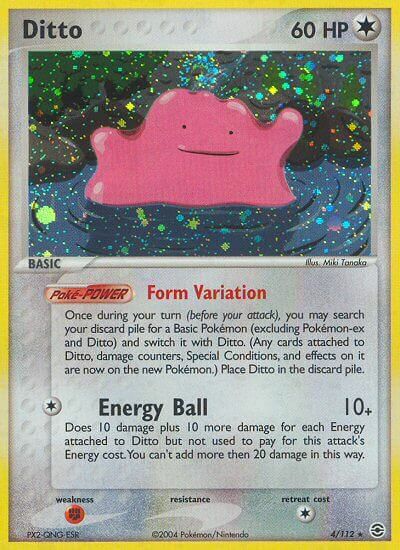 Ditto can use the attacks of that Pokémon as its own. 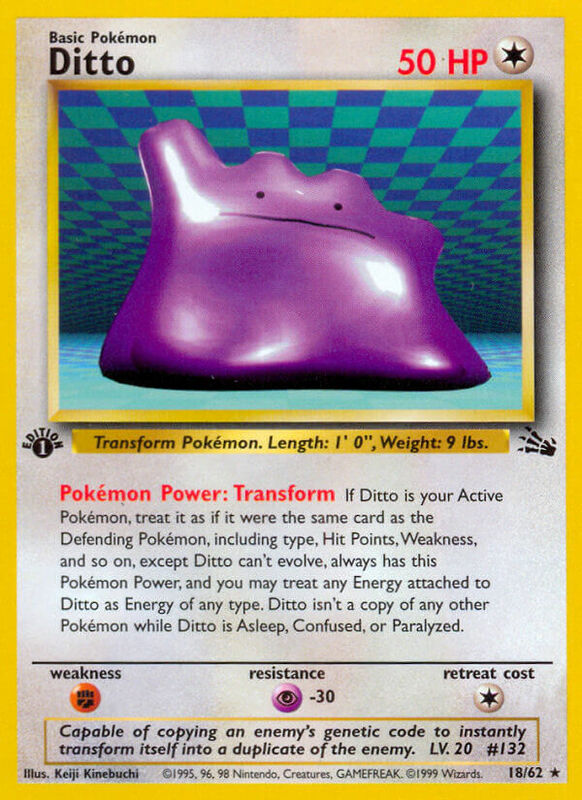 (You still need the necessary Energy to use each attack.) 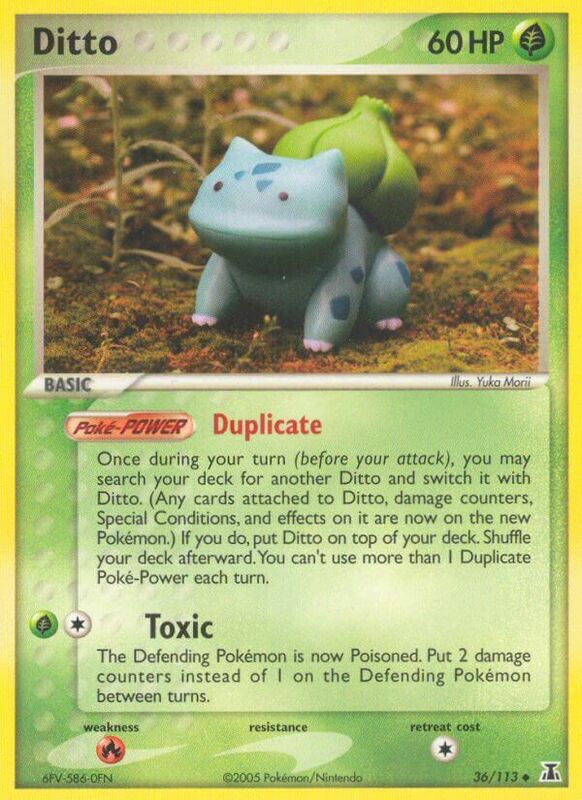 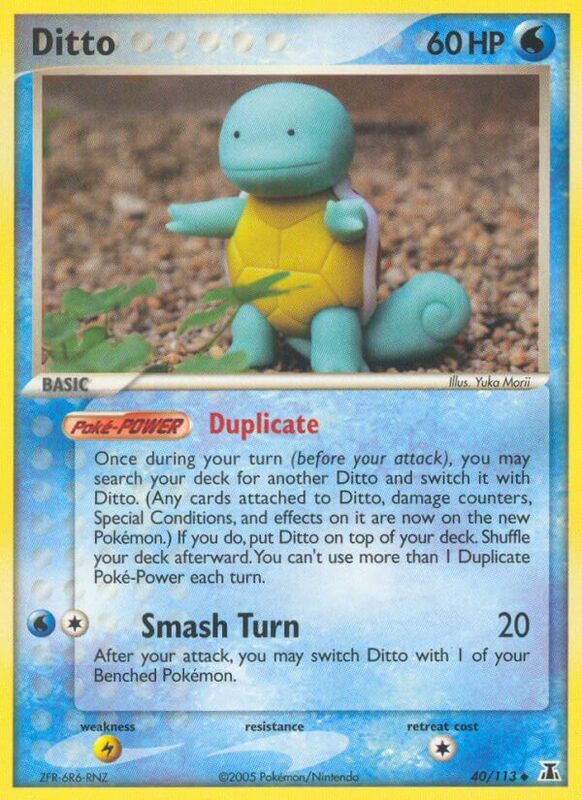 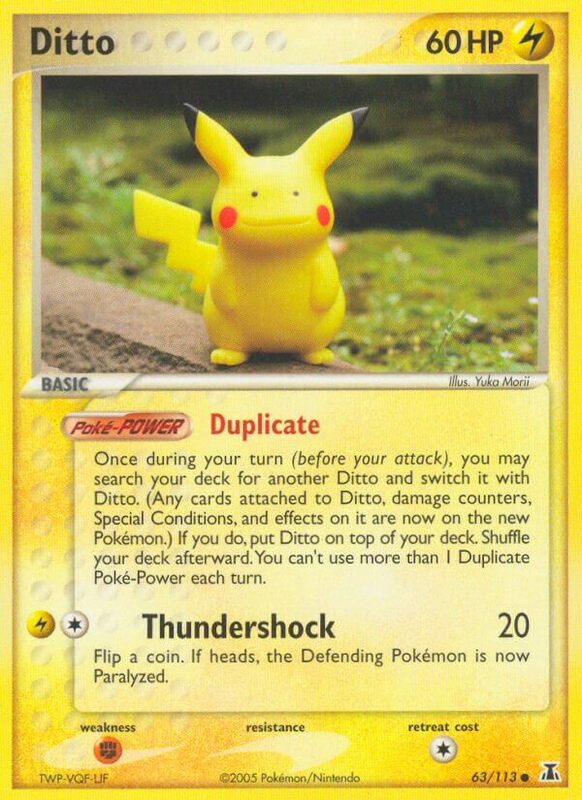 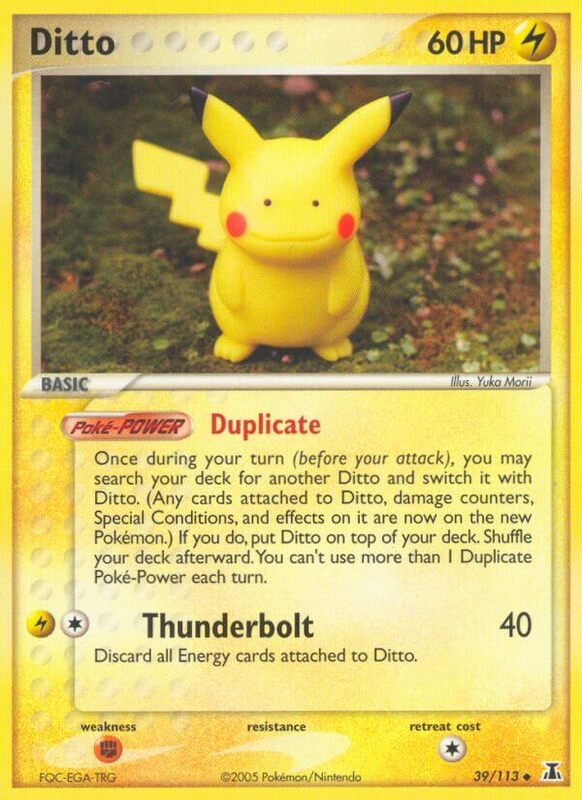 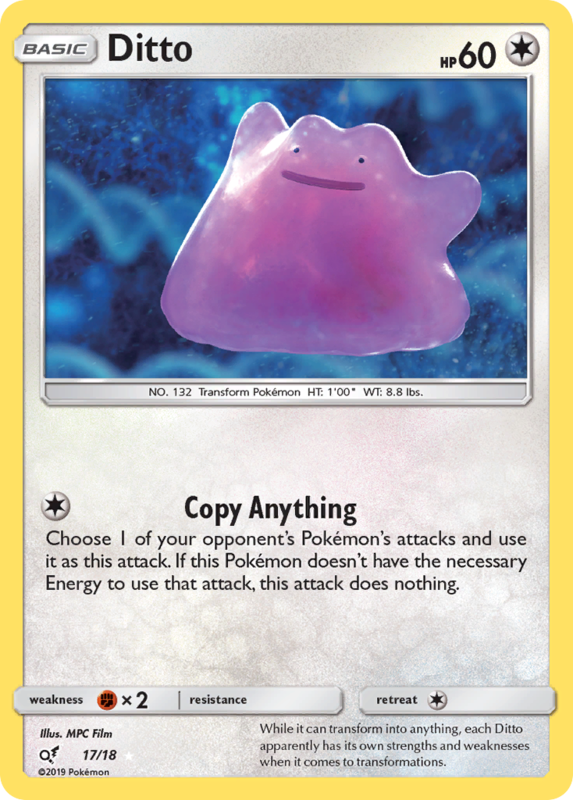 If that Pokémon is no longer your opponent’s Active Pokémon, choose 1 of your opponent’s Active Pokémon for Ditto to copy. 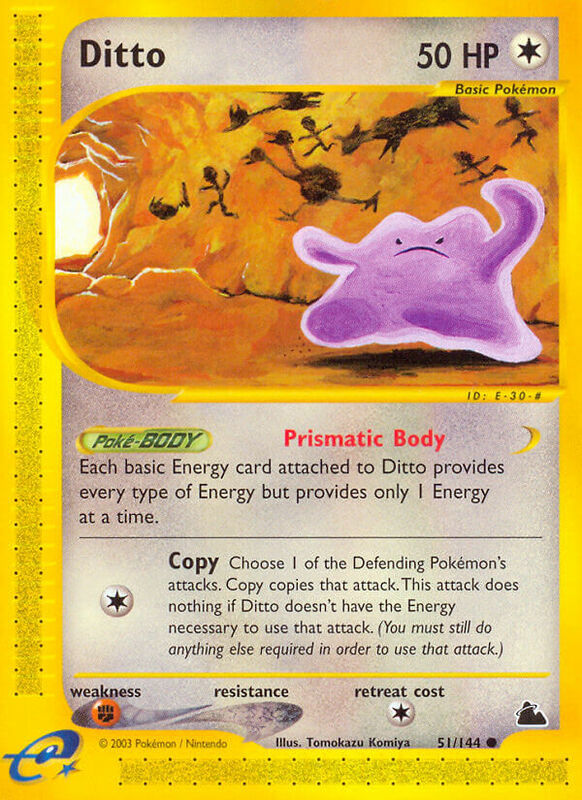 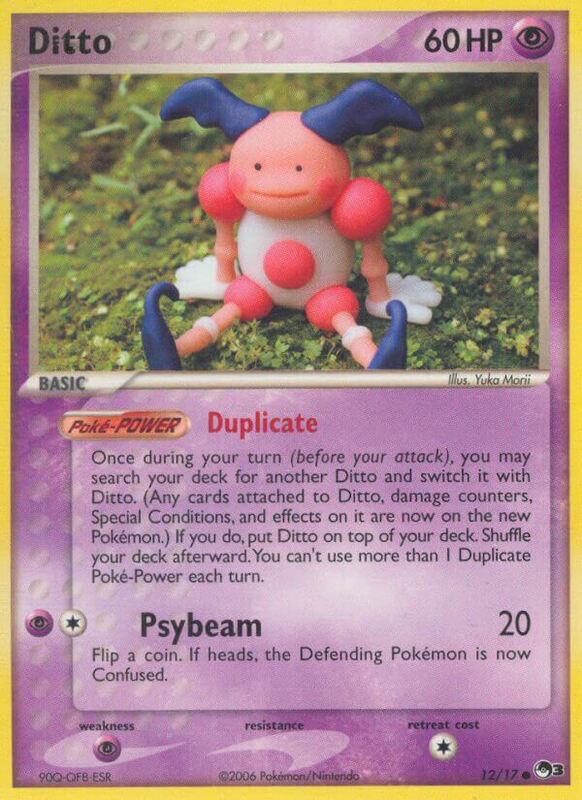 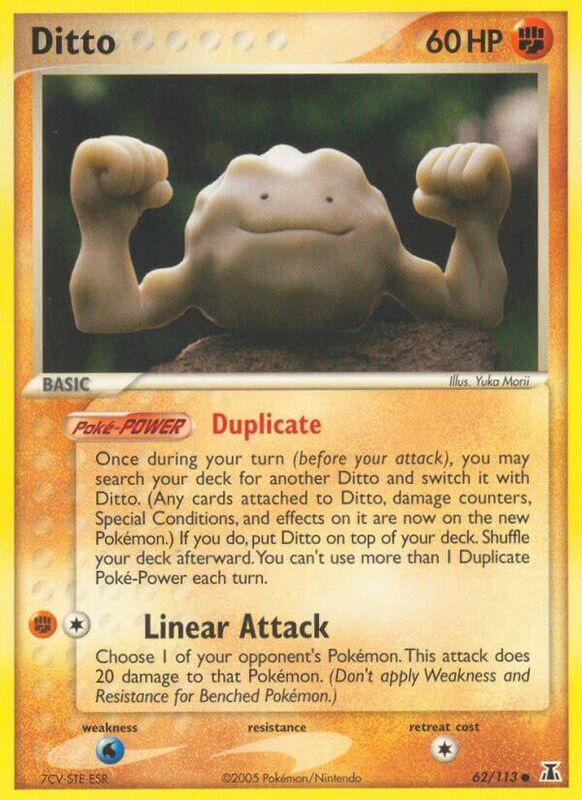 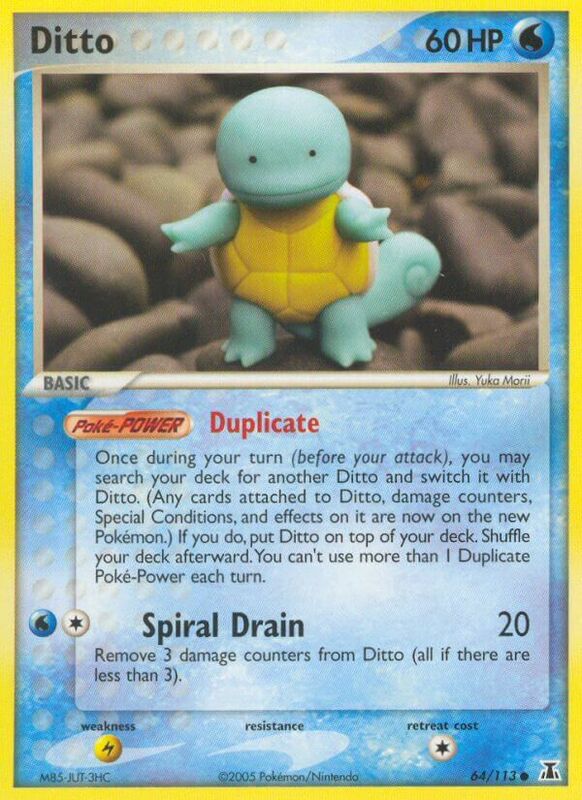 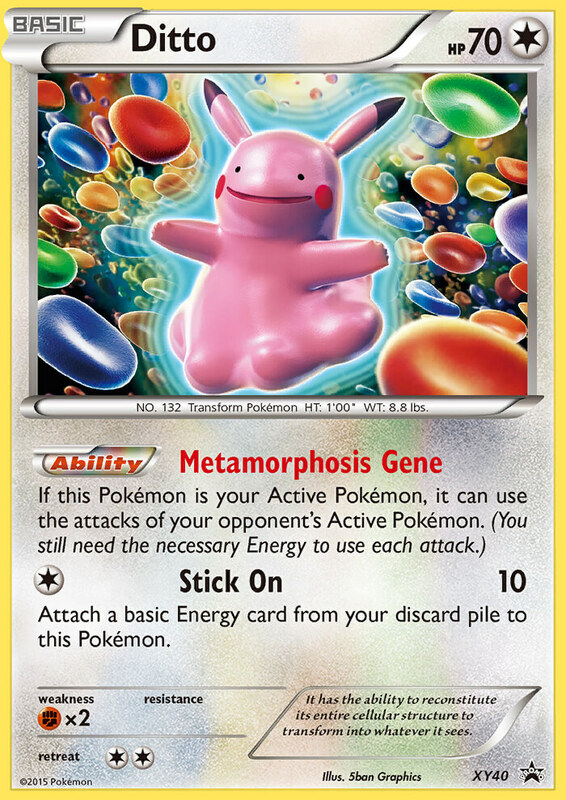 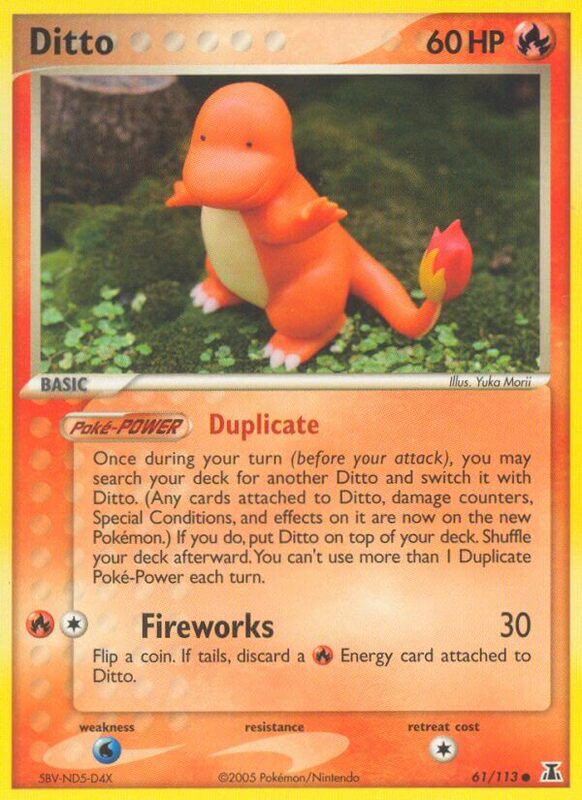 Each basic Energy card attached to Ditto provides every type of Energy but provides only 1 Energy at a time. 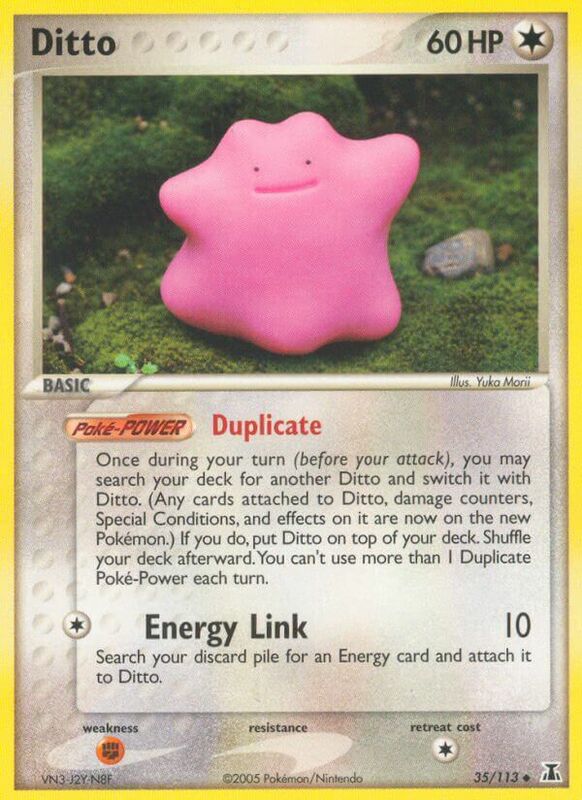 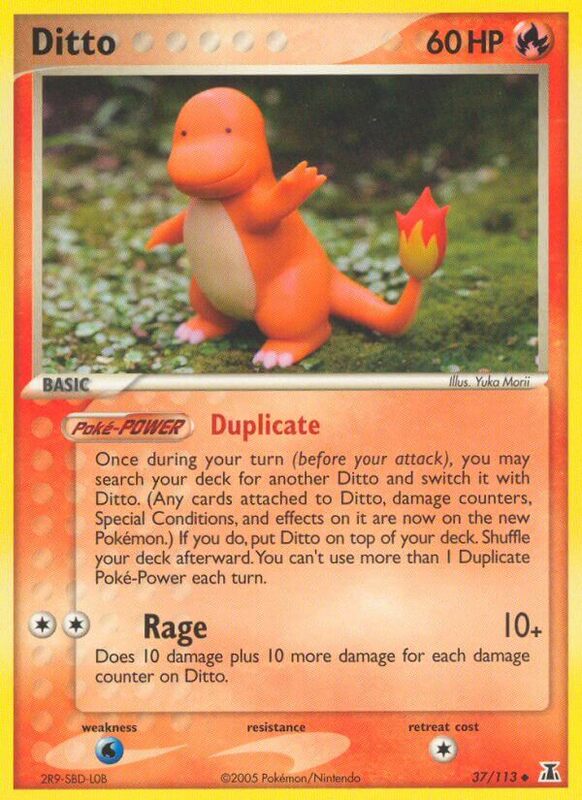 If Ditto is your Active Pokémon, treat it as if it were the same card as the Defending Pokémon, including type, Hit Points, Weakness, and so on, except Ditto can’t evolve, always has this Pokémon Power, and you may treat any Energy attached to Ditto as Energy of any type. 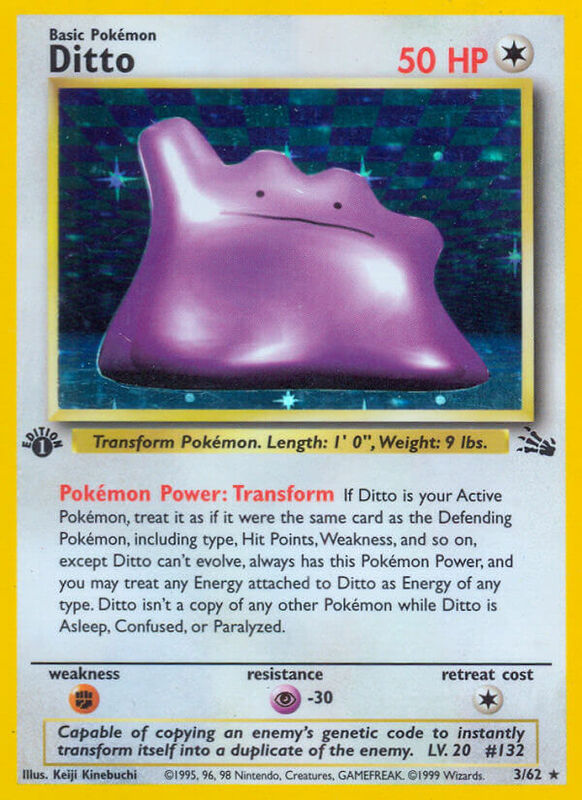 Ditto isn’t a copy of any other Pokémon while Ditto is Asleep, Confused, or Paralyzed. 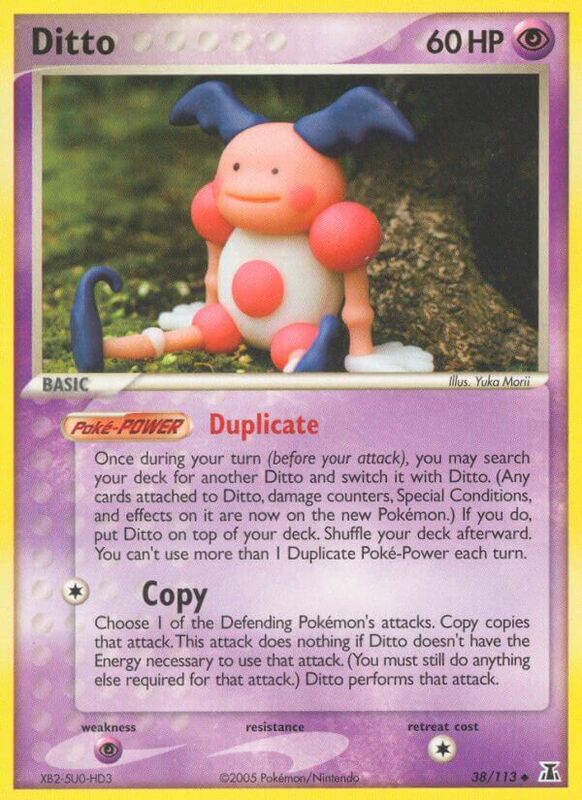 Capable of copying an enemy’s genetic code to instantly transform itself into a duplicate of the enemy.